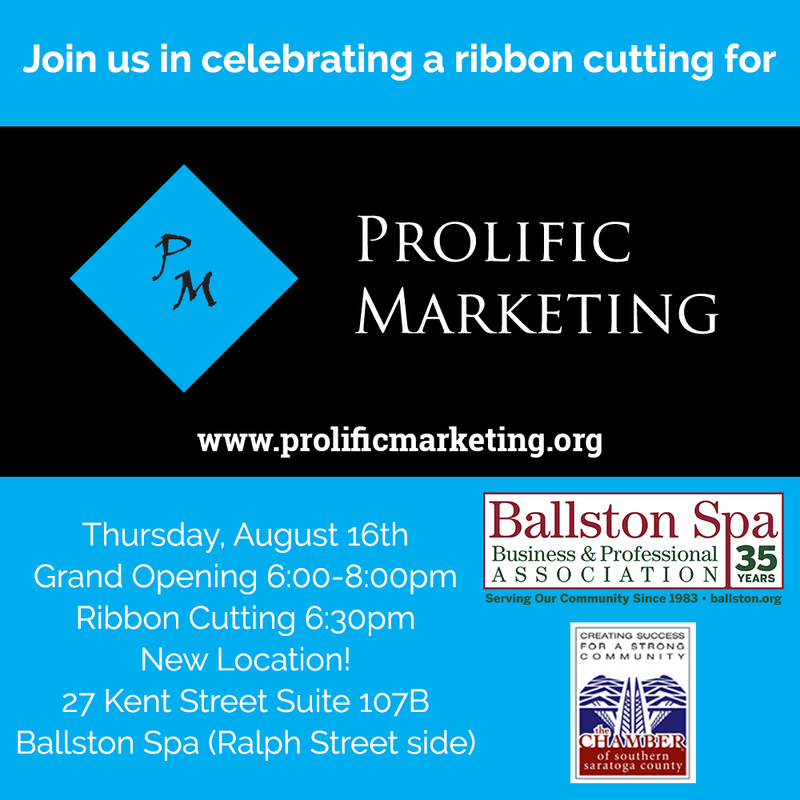 Prolific Marketing has moved to a new, larger space (27 Kent Street, Suite 107 B) and the Ballston Spa Business & Professional Association, along with The Chamber of Southern Saratoga County, will be helping Dan Barner and his crew celebrate their new digs on Thursday, August 16 at 6;30 pm. Enjoy refreshments, meet the team, and learn about what they do for businesses both locally and across the country. 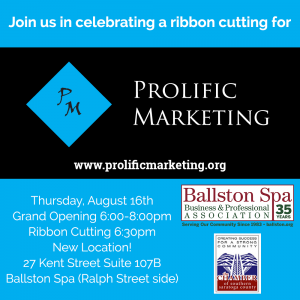 Prolific Marketing is a full-service marketing firm, specializing in creative, quality, affordable marketing tactics for small businesses, including web design, social media management, email marketing, graphic design & print materials, video & photo, campaign management, targeted mailings, and press releases. Their mission is to serve small businesses in the best, most effective manner they can, striving to bring creative, quality, affordable marketing tactics to small businesses so that they can reach their target market and grow the business.